In 1924, fruit research and extension specialists from several Mid-Atlantic states began meeting to share the season’s research results, under the name Cumberland-Shenandoah Fruit Workers Conference. 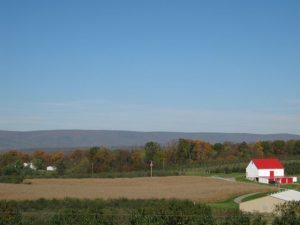 This annual meeting of entomologists, plant pathologists, and horticulturists now includes the core states of New York, New Jersey, Pennsylvania, Maryland, West Virginia, Virginia, and North Carolina, although participation by specialists from other fruit-producing states and regions has added extra dimension to the meeting and their attendance is welcomed. This meeting is an excellent opportunity for graduate students to interact with established fruit workers and to present their research in a relaxed forum. The Cumberland-Shenandoah Fruit Workers Conference is intended for university and government fruit researchers, extension agents, crop consultants, and representatives from agrichemical companies. Its goal is to disseminate and discuss the results from recent fruit research projects, to foster collaborative research and extension programs, and to enable networking among the participants. This conference is intended for any interested agriculture professional involved with fruit, including university and government research, extension and regulatory personnel, and industry personnel related to production and protection of fruit crops. The conference is typically held during the first Thursday and Friday of December. We use Google Groups service for email exchanges. Click on the ‘Sign in to view this group’ link. Log-in to Google service using your account. You will hear from us within a few days.